As a way to say thanks to our loyal readers, We Love DC will be giving away a pair of tickets to a 9:30 Club concert to one lucky reader periodically. Keep your eyes open for opportunities to find out what tickets we’re giving away, and leave a comment for your chance to be the lucky winner! 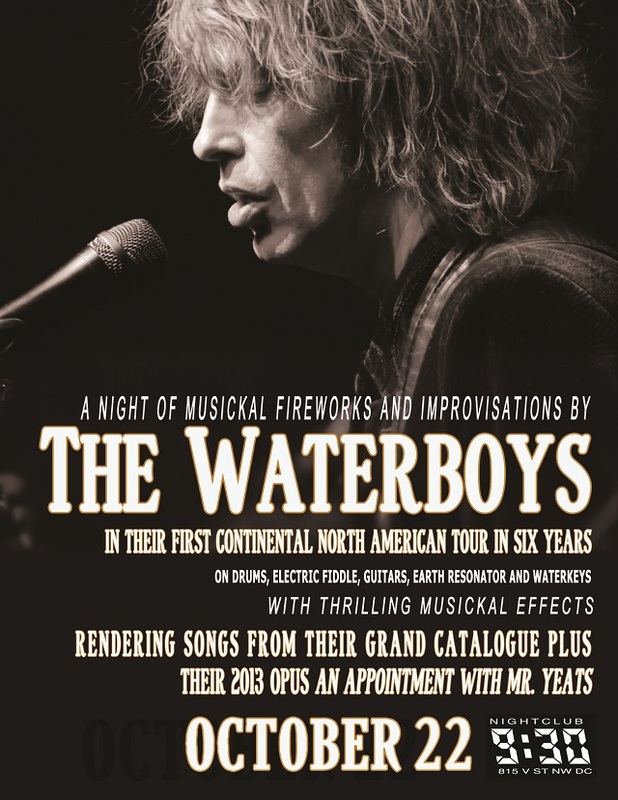 Today, we are giving away a pair of tickets to see The Waterboys at the 9:30 Club on Tuesday, Oct. 22. For your chance to win these tickets, simply leave a comment on this post using a valid email address between 9am and 4pm today. Feel free to leave any comment, but perhaps share your favorite song by The Waterboys! One entry per email address, please. Tickets for this show are also available through Ticketfly. Comments will be closed at 4pm and a winner will be randomly selected. The winner will be notified by email. The winner must respond to our email within 24 hours or they will forfeit their tickets and we will pick another winner. Always loved “When ye Go Away” and “Raggle Taggle Gypsy”! Personally, I just want to hear their “earth resonator”. Army Blues is my fave song & A pagan place is a great album! A great optimistic song, from A Pagan Place.